Draft: 1997, Toronto Blue Jays, 1st rd. January 15, 2014 New York Yankees released LF Vernon Wells. 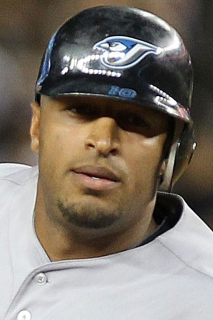 January 10, 2014 New York Yankees designated LF Vernon Wells for assignment. March 26, 2013 Los Angeles Angels traded LF Vernon Wells to New York Yankees for RF Exicardo Cayones and LHP Kramer Sneed. July 27, 2012 Vernon Wells roster status changed by Los Angeles Angels. July 26, 2012 Vernon Wells roster status changed by Salt Lake Bees. July 20, 2012 sent CF Vernon Wells on a rehab assignment to Salt Lake Bees. June 12, 2012 Los Angeles Angels transferred CF Vernon Wells from the 15-day disabled list to the 60-day disabled list. May 21, 2012 Los Angeles Angels placed CF Vernon Wells on the 15-day disabled list. Torn ulnar collateral ligament in right thumb. June 7, 2011 Los Angeles Angels activated CF Vernon Wells from the 15-day disabled list. June 5, 2011 sent CF Vernon Wells on a rehab assignment to Inland Empire 66ers. May 10, 2011 Los Angeles Angels placed CF Vernon Wells on the 15-day disabled list. Right groin strain.